Self-driving cars remain a controversial technology when it comes to safety. Many drivers out there don’t want to give up the manual ability to control their vehicle, and it’s become a constant effort from companies to show how their autonomous software is improving. The University of Michigan is hoping to convince more people with the use of vehicle-to-vehicle communication. In a partnership with Mcity, the school has been researching a way to enhance sensor technology in autonomous vehicles. While cameras on the car and GPS systems will provide adequate information for these cars, there’s always places where these sensors can fail or they aren’t listed properly on the map. They’ve developed Dedicated Short Range Communications (DSRC), a wireless language that can send up to 10 messages per second between vehicles. Learning is a key aspect for these self-driving cars, and being able to communicate with each other could be a big advancement in this technology. While sensors would be able to see what’s happening, they may not always be able to process that information like humans can while driving. This learning system that would have vehicles talking to each other would achieve that step with any potential accidents, having to stop suddenly, or any hazards due to weather. Why is augmented reality better? It’s incredibly expensive to bring in test cars and it can be very unsafe. Researchers will still be in real cars out on the testing area, but they can view the augmented reality from inside the vehicles and in the Michigan Traffic Lab, which is the city’s control center. Testing is the only way to provide evidence that these autonomous vehicles would be safe on the road. The report specifies demos where the vehicle-to-vehicle communication appears very important. While it’s easy to see a red light ahead, for example, sensors could have trouble picking that up if there’s any sunlight blocking the view. At a green light, a test vehicle still stopped, thanks to communication that cross-traffic wasn’t going to halt at the intersection in time. Henry Liu, the Director of the Center for Connected and Automated Transportation, believed augmented reality solved an immediate problem from the beginning of Mcity, stating, "No one else has the capacity to add augmented reality to a test environment. 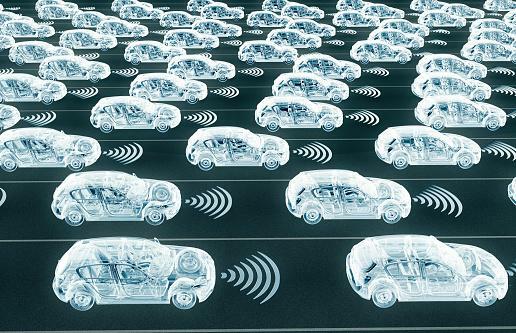 And an important part of technology development for connected and automated vehicles is to evaluate the technology and to gain the confidence of the public." While Michigan does allow self-driving cars on public roads, this testing facility is much more efficient when it comes to enhancing the future of autonomy. It may not convince everybody to hop in, or even trust these vehicles, but they’re continuing to move in the right direction.